Much like their American counterparts, children in Poland await the arrival of a gift-bearing visitor on Christmas Eve. But Polish children do not call him Santa Claus, and while good children are still rewarded, the customs are a little different. The Polish Santa is named Mikolaj (St. Nicholas in English), and children traditionally receive presents on his feast day and Christmas Day. In some regions of Poland, Gwiazdor stands in for Mikolaj on December 24 or the baby Jesus is the main gift-giver on Christmas Eve. December 6th is St. Nicholas Day (Mikolaj Day), and on St. Nicholas Eve, Mikolaj places gifts under children's pillows. Alternatively, Mikolaj visits in person, either dressed in elegant bishop's clothing or in the merry red winter suit typical of the Western Santa Claus. St. Nicholas Day is a fun holiday often enjoyed at schools and offices, while Christmas Eve is spent with family. Sometimes, gifts are accompanied by a switch, a sprig off of a birch tree, to remind children to be good. Mikolaj may make an additional appearance on Christmas Eve. If Mikolaj does not visit a child's house, he may appear at Polish Advent services to give treats to good children. In past versions of his tale, Mikolaj used to be accompanied by an angel figure and a devil figure, both reminders of the good and bad sides of children's behavior. In some regions, it is Gwiazdor, not Mikolaj, who makes an appearance on Christmas Eve. Gwiazdor is a spirit from generations past, dressed in a sheepskin with his face covered in soot. He carries a bag of gifts and a rod, giving gifts to good children and spankings to bad ones. The name Gwiazdor is derived from the Polish word for “star,” which is an important symbol on Christmas Eve for a couple of reasons. In addition to the Bible story of the Three Wise Men following a star to the baby Jesus’ birth site in Bethlehem, a popular Polish Christmas tradition has families search for the first star of the evening on Christmas Eve before sitting down to dinner. Christmas in Poland has also been known as "Little Star Day," or "Gwiazda." The origins of Gwiazdor are uncertain, but he is an ancient character, who may have made his way into Polish folklore from another culture. In some parts of Poland, the baby Jesus is responsible for bringing gifts to children on Christmas Eve. His appearance is announced by the ringing of a bell, which is when the presents appear. Of course, pulling off this trick requires planning by parents, who must set up the tree and gifts with care so as not to reveal to their children the actual deliverance of gifts. With cultural encroachment from the West, the American Santa Claus may appear in commercial environments in Poland as Christmas approaches. 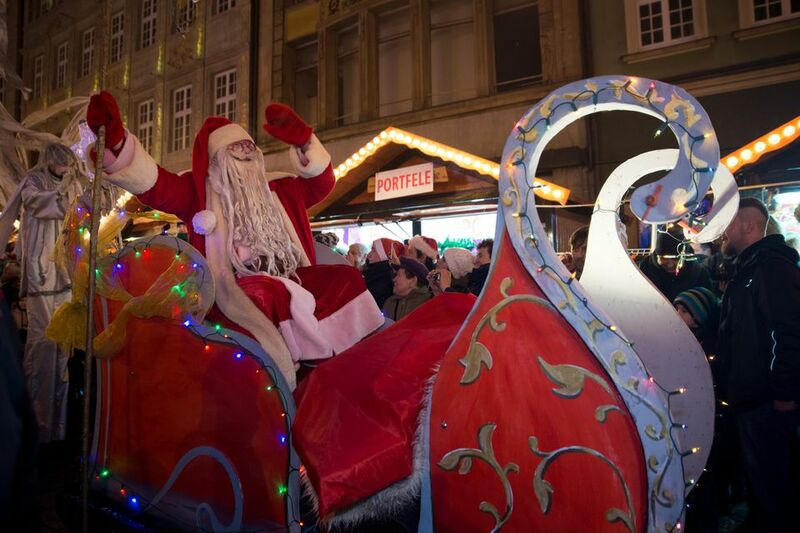 However, Poland's own Santa Claus traditions continue to be observed.